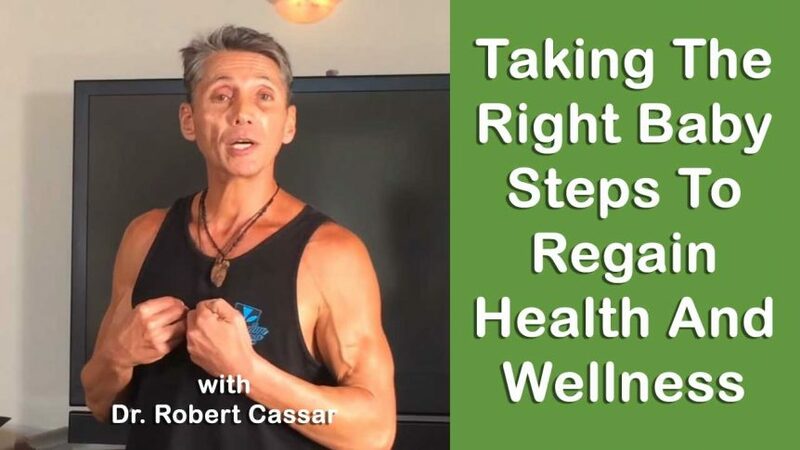 Taking The Right Baby Steps To Regain Health And Wellness which of course leads us all to Evolution of the mind and body. Taking The Right Baby Steps To Regain Health And Wellness is the way to start the 1000 mile journey of evolution. We have the information and knowledge as a collective species and we can change much of our personal and planetary destiny. Are you ready for the total upgrade of yourself and others that care to grow and evolve? There is so much information to learn and have the ultimate discretion with. Once we get the discretionary information we have knowledge, then once we start to practice the information we learn we get the ultimate movement which is Experiential Wisdom! We are all “Researchers and Experimenters” on a daily basis. As you add some the protocols to your lifestyle and exchange many products / foods / oils / sugars / hidden toxicity everywhere / negotiated for non toxic or less toxic products etc, getting your water supply fixed form toxicity, learn how to make ferments and probiotics that go along with a ketogenic diet. Upgrading, enhancing and optimizing many different areas of your personal and families worlds will completely change your / their lives for the better. “Less toxicity means that you get more vitality” – this is a great concept and mantra to understand. Learning the “Terrain Modification Principles” is a must to live healthier in this world that is so dysfunctional and toxic. Our planet that we live on is truly a miraculous place indeed. Everything in Life is all a “Work in Progress”. 1 out of 2 people will die of Cancer now in the North America because of all the toxicity, terrible foods / water and a myriad of parasites that thrive in the toxicity of the body. The key is to clean the body as well as you can by living a Super Natural Lifestyle, which simply means to live with Awareness and live as smart and Natural as you can. We give you plenty of ideas to upgrade your world before your body get the sickness. Dr. Cassar, What is the best way, after water fasting, to take the blood sucking parasites out of your body? Your unswers are deeply appreciated. Using the ferments as much as you can will help with the re-flourishing of the good essential bacteria in the intestinal tract and body. Keeping off the sugars and carbs and going towards an intermittent fast diet. Learn all of the terrain modification practices to take a swipe a little at a time with the accumulation of the parasitic load and toxicity load which gives the parasites life. I always like people to do a 14 day dry water fast and go through all of the protocols that we have here Hawaii at our 21 day detox and rejuvenation retreats. This should be medically supervised for sure. This is the big life game changer because it disconnects most of the parasitic unknown demonic parasitic connections that you have in your mind and body. I also would learn the videos on ferments we have and how to really make your own live ferments with veggie, live drinkable alcohols, fruits or just anything full of essential good bacteria’s. We are just processing a 3 hour video on ferments and 10 recipes to turn your kitchen into a ferment kitchen. Great can’t wait for the ferment video. I’ll consider a trip to Hawaii in 2017, where do I get full information on this.